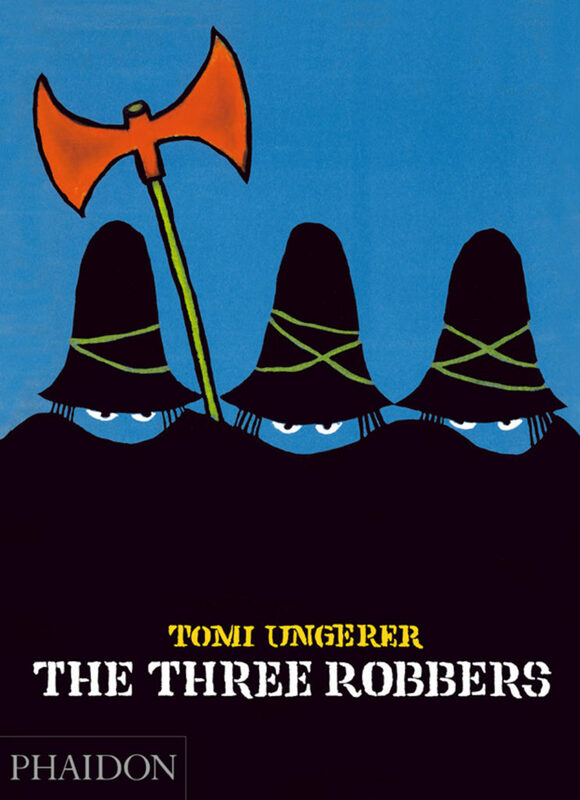 Tomi Ungerer, who died in February, was one of the great fabulists and weirdoes of children’s book illustration. And his razor sharp drawn line punctuated by patches of rich black inspired numerous artists. To give you a sense of Ungerger’s storytelling, among the books Phaidon has returned to print is Ungerer’s 1962 book “The Three Robbers” about highwaymen who kidnap a (willing) girl, who inspires them to found an orphanage. 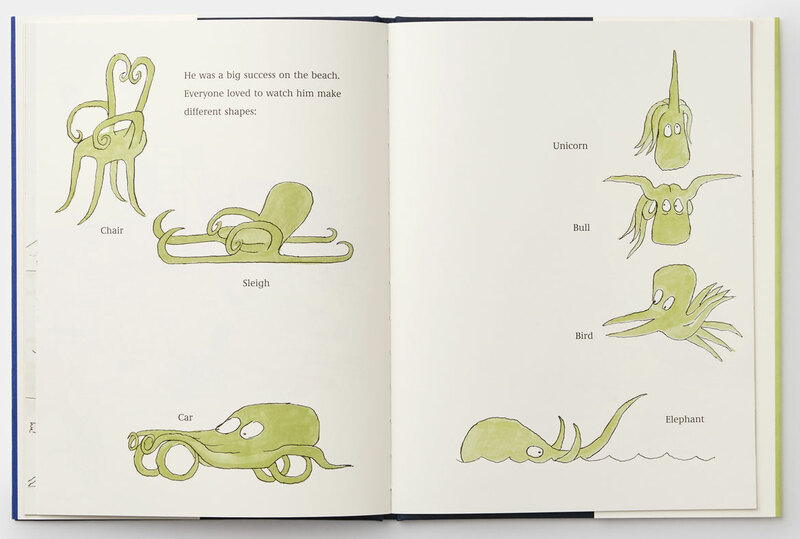 They’ve also printed 1999’s “Otto,” a mournful tale of a teddy bear who survives the Holocaust, and 2013’s “Fog Island,” about an Irish brother and sister who get lost at sea in a fog, land on a mysterious island, and barely make it back home. 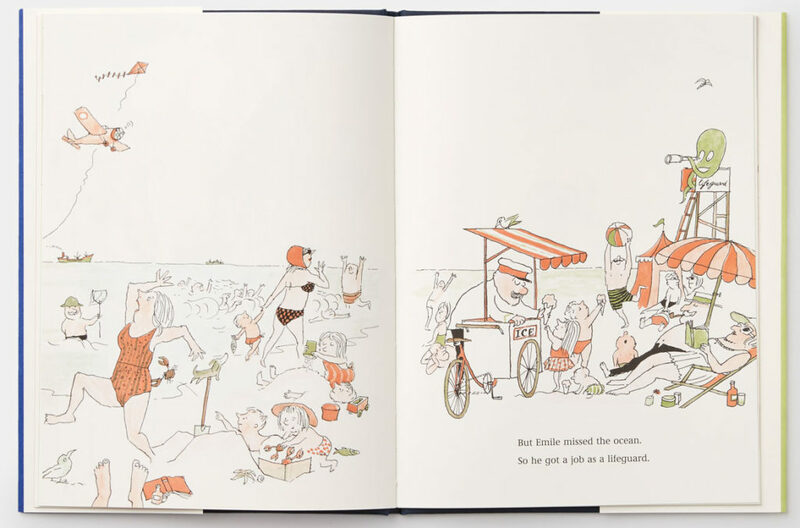 Phaidon’s latest contribution is the republication of Ungerer’s charming 1960 kids book “Emile,” rendered in fine pen line and green and orange washes. 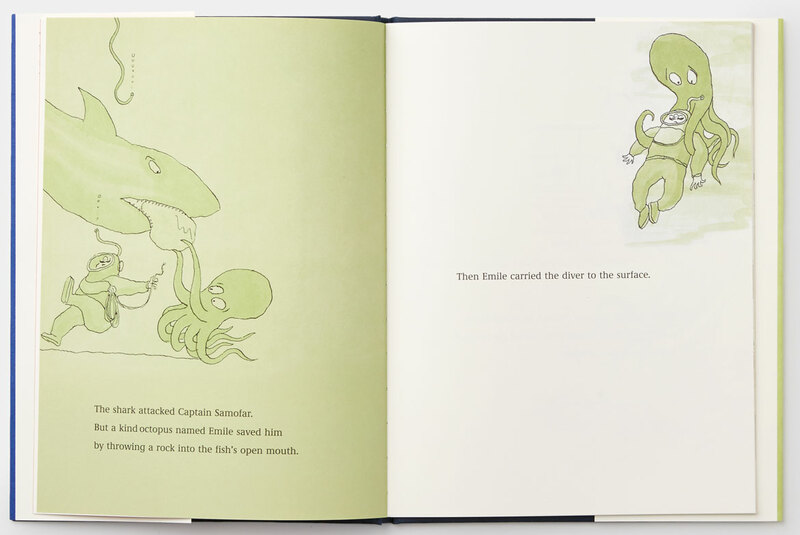 It’s about a police diver who runs into difficulties with a shark and is rescued by an octopus named Emile. In thanks, the lawman invites the mollusk home—and into new adventures. Ungerer was raised in Strasbourg, France, just across the Rhine River from Germany, and lived under Nazi occupation during World War II. He moved to New York in 1956, where he launched his prolific career as an illustrator, then to Nova Scotia around 1970 or ’71 and Ireland in 1976. His books, especially the early ones like “Emile,” retain a European air—something in the ornate ironwork, the policemen’s uniforms, the mustaches, berets, the unhurried continental cool. And there is often a sense of being an outsider, of gamely trying to puzzle out the customs of some new place. 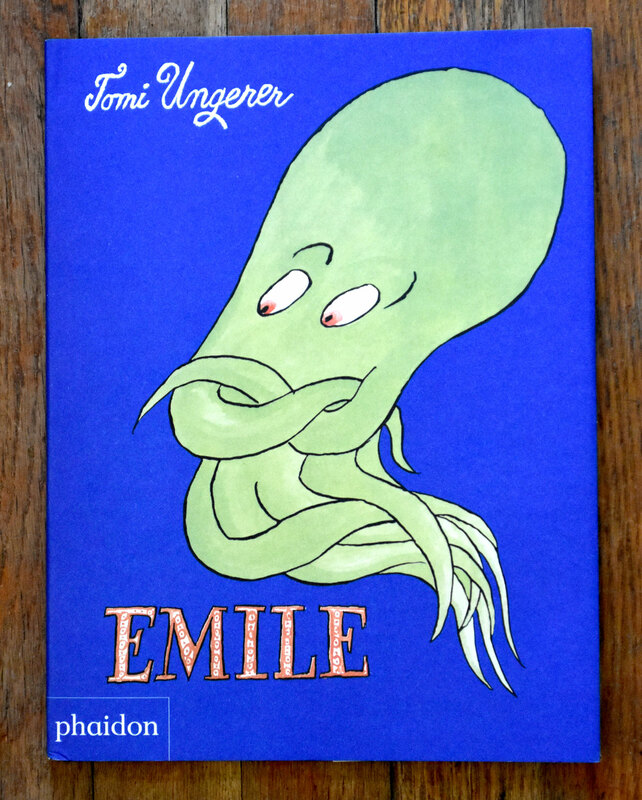 “Emile” echoes Ungerer’s 1958 book “Crictor,” in which an old lady receives a helpful boa constrictor for her birthday. The snake learns the alphabet, plays with children and foils a burglary. Like Crictor, Emile holds curious status as part pet, part fish-out-of-water, part derring-doer. Moving in with the lawman, he sleeps in a salt-water-filled bathtub, plays Debussy on several instruments at once, rescues floundering humans as a lifeguard, and entertains people with his astonishing shape-shifting. On days off, he helps his policeman pal uncover a band of trigger-happy smugglers, then rescues the officer when he gets into difficulties with the bandits. Twice a hero and tired of the landlubber life, Emile retires to the quiet life under the sea. When the lawman (clad in a diving suit) visits, they while away the hours lounging on ornate furniture, playing checkers among potted seaweed plants.